and making the most out of it every single day. 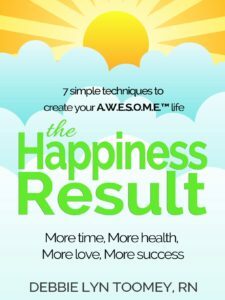 Debbie Lyn Toomey has published her first book, The Happiness Result! Click here or on the book below to purchase the book and/or its accompanying journal. Are you surrounded by negative people who are smothering your happiness? Do you want to add more meaning to your life? Are you ready to start your journey on the path of possibilities? 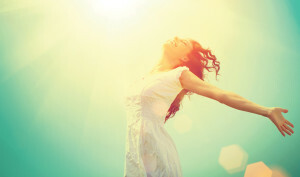 Health & Happiness Specialist Debbie Lyn Toomey is a proven expert in the field of emotional wellbeing. With our help, you can fine-tune your health and emotions so you can live, love, and laugh more than ever before! Her carefully designed programs have been known to triple energy levels, so you can take your life into your own hands confidently and passionately to achieve the happiness you deserve. Our programs will leave you with an added sense of clarity and focus, empowering you with knowledge so you can go out there and make your life what you need it to be. All too often we become consumed by the negativity around us, and this can leave us feeling powerless about our own situations. Our programs are designed to lift that shadow from your life, giving you purpose and access to a higher level of life that you never knew possible. Debbie Lyn Toomey is a mother, daughter, nurse, author, business owner, wife, and volunteer, making her proficient in dealing with a stressful, ever-changing schedule. Today, Debbie is leading a life that is filled with positivity, joy, laughter and love, so what is her secret? It is all down to her ongoing commitment and personal promise to herself to lead a full and happy life. It is her own success that leads her to helping others, and she has already changed the lives of hundreds of people across the world. Debbie has proven that it is never too late to live your dreams. Our programs are fully educational and transformational. Debbie combines her nursing background with life-changing mind, body, and spirit trainings plus positive psychology to offer an all-round comprehensive program that is already a nationwide success. 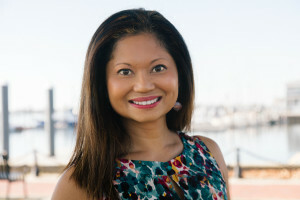 From owner Debbie Lyn Toomey: As a Health & Happiness Specialist, I am passionate about mastering techniques and skills to help people of all ages to achieve their dreams and live their life to the fullest. I understand that life might not go the way you planned, but I strongly believe that happiness is the first step toward reaching a level of wholeness that will complete you both mentally and spiritually. I am fully committed to helping others achieve what I myself have achieved. I also believe that when we reach an enlightened state of happiness, we can then begin to understand the opportunities that lie around us, using them to their full potential and unlocking a life that is filled with eternal happiness. If you feel as though your life is going nowhere or that you just cannot achieve happiness no matter how hard you try, then our programs are fully designed to help and support you. Contact us today to find out more, or visit our other pages. Together, we can live a life that is filled with possibilities that we are eager to make most of.